Vehicle History Expert CARTELL.IE reports today (April 9) that car finance levels are rising rapidly. 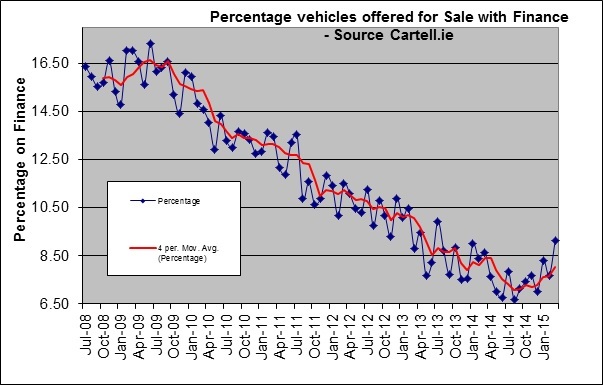 Cartell.ie looked at the overall percentage of vehicles offered for sale and checked via Cartell.ie between the period July 2008 to March 2015. The results show that while the overall-low-point was found recently in December 2014 – when a level of 7.01% was recorded – that percentage has surged to 9.11% in March 2015: a huge increase of 30% in 3 months. The level recorded for March 2015 is the highest levels seen by Cartell since April 2013. However, there is a significant difference: in April 2013 the trend was downwards, while today the trend presents an upward curve. The results are indicative of two developments: first, a higher availability of vehicle finance in the market place; and second a more challenging environment for a potential buyer of a motor vehicle. Our analysis shows that vehicle finance levels appear to have bottomed out late last year and are now surging back upwards. 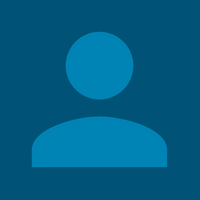 We anticipate further upward growth due to finance houses establishing a greater foothold in the market and the apparent growth in popularity of flexible Personal Contract Plans (PCPs) among consumers.